The Oscars are upon us! 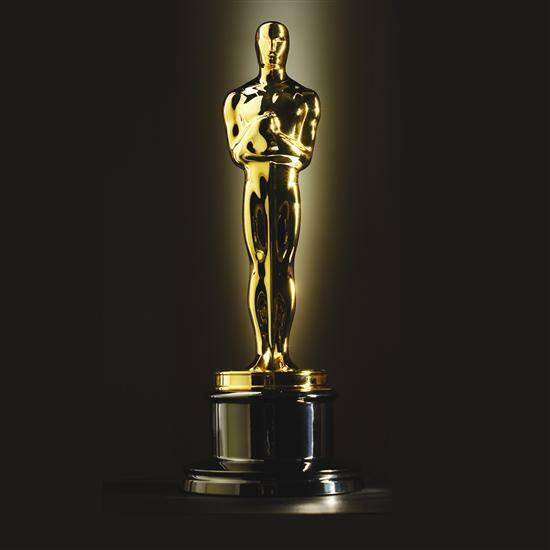 On February 22 the 87th annual Oscars Award Show, originally titled The Academy Awards, will take place. The official name change happened in 2013 for the 85th anniversary. First presented in 1929 at the Hollywood Roosevelt Hotel, are overseen by the Academy of Motion Picture Arts and Sciences and ever since it’s first televised in 1953 it has become a world wide phenomenon. Every year from all over the world people tune in to see if their favorite actor or film of the year will win. Oscar viewing parties will be held and fans will take part in the glamour and drama. Friends and family will discuss who’s dating who, what was worn, what is said. And of course everyone one waits in anticipation to see what entertaining wardrobe malfunctions and speech mistakes will be made, like last years “Adele Dazeem” mishap. The Oscars are a source of entertainment a night of light hearted gossip and competition as you route for your favorites. Now lets talk about the golden award that this night is centered around! The Oscar is made of gold-plated britannium on a black metal base, it is 13.5 in (34 cm) tall, weighs 8.5 lb (3.85 kg) and depicts a knight rendered in Art Deco style holding a crusader’s sword standing on a reel of film with five spokes. The five spokes represent the original branches of the Academy: Actors, Writers, Directors, Producers, and Technicians. The brittanium cast first receives a light copper electroplate, then heavy copper. Nickel plating is applied to seal the pores of the metal. Then the statuette is washed in silver-plate. Finally, the statuette is plated in 24-karat gold and receives a baked lacquer finish. Because the winners are top secret they will not be engraved until after the show. The engraver receives the list of winners only after the ceremony; they engrave the plates and ship them back to Hollywood. “The Oscar is better now than it was 25 years ago because the gold content has been increased,” Owen R. Siegel, the manufacturer of the statuettes states. “I believe the Oscar contains more gold than any other famous award.” The specific dollar value, however, is a secret: “The Academy wants them to be considered priceless”. Fun fact: Recipients can not sell or auction the Oscar. The Academy protects all of the statues to make sure they can not be sold on the market. All winners sign a contract stating that they will not sell the statue with out offering to sell it back to the Academy first for $1. Only 2 have ever been sold at auction. -2011 Oreson Wells heirs auctioned off the 1941 Oscar for Best original Screen Play for Citizens Cane, this sold for 861,542.